Welcome to MotionMAX Studio Profile. 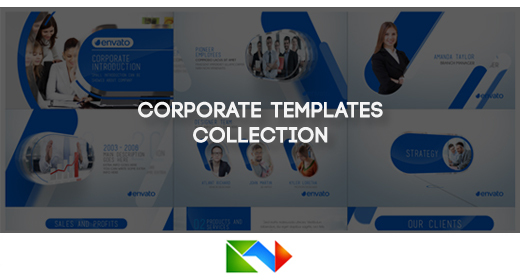 We are group of professionals working together to make unique and Very Useful templates.We worked for several national channels and regional channels and also for the some corporate companies.We hope you will find one or two Projects from Our portfolio. This is Our humble request to see all Our items once and make a Sound judgement. Quality of Our items is seamless and they are very different. 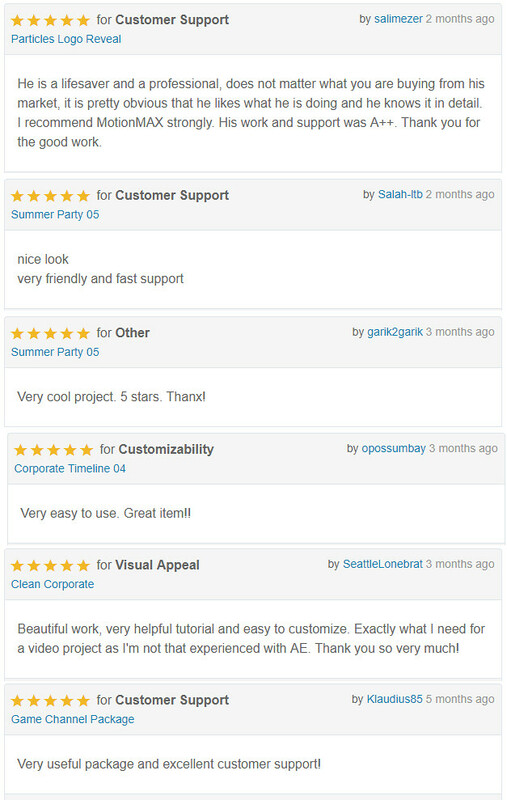 We are sure you will surely get one or two files from Our portfolio.We always takes time to complete project to make our buyers happy and they are.For More you can scroll down this page for buyer reviews. 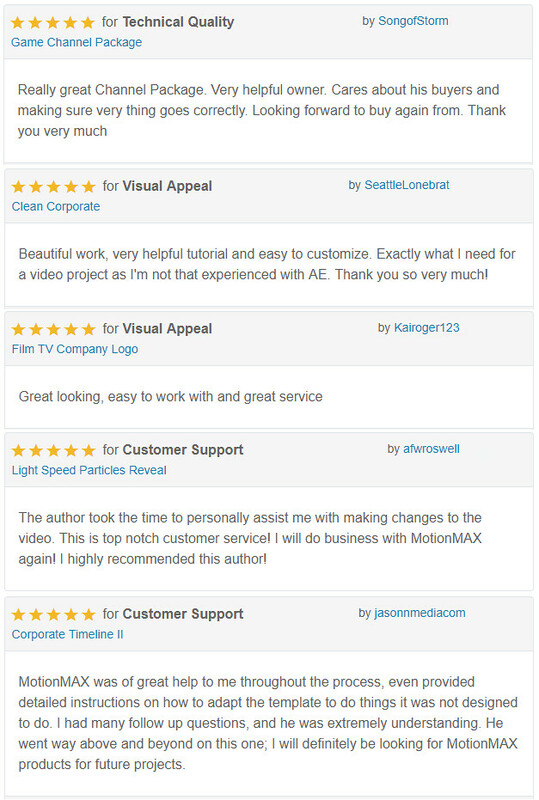 Client Satisfaction is Our NO.1 Priority when we do for freelance Motion Graphics Projects. 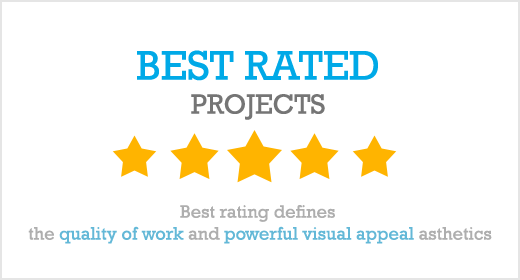 That will also apply on our videohive Projects too. So plz contact Us through Our profile Page without any Hesitation. So we can help you to resolve issues if there is any.